Create your own Capture job? Check. New DLC? Check. Heists? ... Finally, check! Rockstar has given everyone a quick glimpse of things coming our way this spring in Grand Theft Auto Online (and likely singleplayer too). You'll soon be able to own multiple properties in GTA Online as part of the forthcoming High Life Update. Coming next week, the Creator community will be able to make their own original customized Capture Jobs and add to the over 3.5 million (and counting) player-created Deathmatches and Races currently available on Social Club. Strategically place pick-ups, define weaponry, set location, and tweak tons of other variables to make your own unique Capture Job for others to take on. 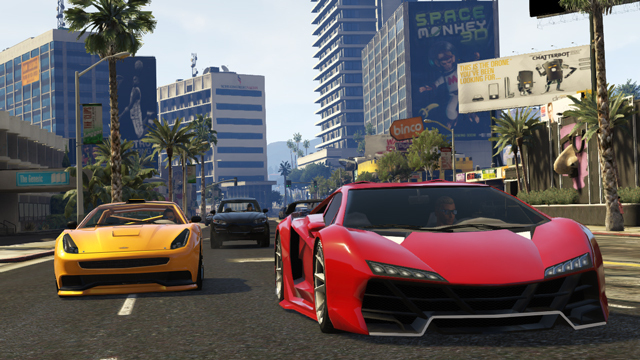 The High Life Update will allow you to expand your foothold in Los Santos with new high-end apartment options, the powerful Bullpup Rifle, new wardrobe items, the Dinka Thrust motorcycle and three new lavish cars to choose from, including the Super class Pegassi Zentorno. 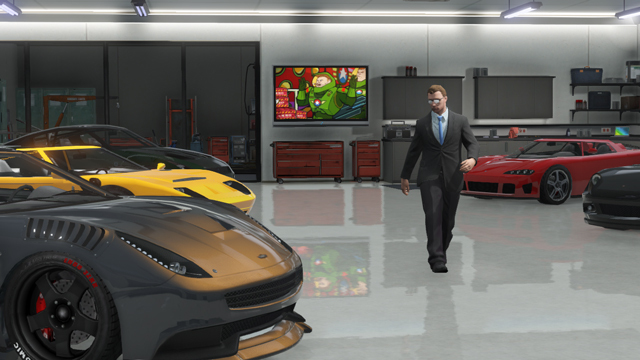 The High Life Update will also feature the debut of multi-property ownership in GTA Online, which means you'll be able to own two distinct properties (with garages) simultaneously. All this plus the new Mental State player statistic, which is designed to let you see just how passive or psychotically unhinged fellow players in your session really are, and a slew of new Jobs. Coming this spring to Grand Theft Auto Online, team up with your most trusted Crew members or with random other mercenaries in Grand Theft Auto Online to pull off cooperative Heist Missions for glory and profit. Rockstar knows many in the GTA Online community have been looking forward to this update. And later this year, look for even more additions to both Grand Theft Auto Online and Grand Theft Auto V, including more holiday-themed updates, some very exciting Story Mode DLC, and much more! As part of the ongoing commitment to target cheaters and keep the game as fair as possible, Rockstar is closing RP exploits and will be adjusting the RP totals of players who they know for certain to have gained illegitimate RP by cheating. Your RP will only be adjusted if you participated in mods, hacks, DNS redirects, manipulation of cloud files, or other similarly nefarious behavior. If you grinded short legitimate missions or otherwise gained a small amount of RP without modding, your RP should not be affected by this correction. They'll be fixing the issue where players who had upgraded personal vehicles prior to Title Update 1.10 were only able to sell them for $10,000. Why don't you talk to Rockstar directly and see how they feel about your insistence that it should take "20 or 10 min" to make a DLC? I'm sure they'd love to hear about it. how long does it take make a dlc it should take like 20 or 10 min series guys I shouldn't take so long just make one dlc you guys are failing gta 5!!!!!! !and what about gta 6 are there going to be even any dlc are what is it going to take a year or 2 years!!!!!! This may get a negitive like but waxywolverine please make a yt video of what ur about to do to ur gta5 game. Its been a while since iv seen a funny-a** Fail video. ps. Turtle. Thats the answer for everything turtle. pss. Rockstar games are AWSOME! you do know spring is not just one month of the year right. Control yourselfs and be patient. GTA Online Updates this Spring (incl. 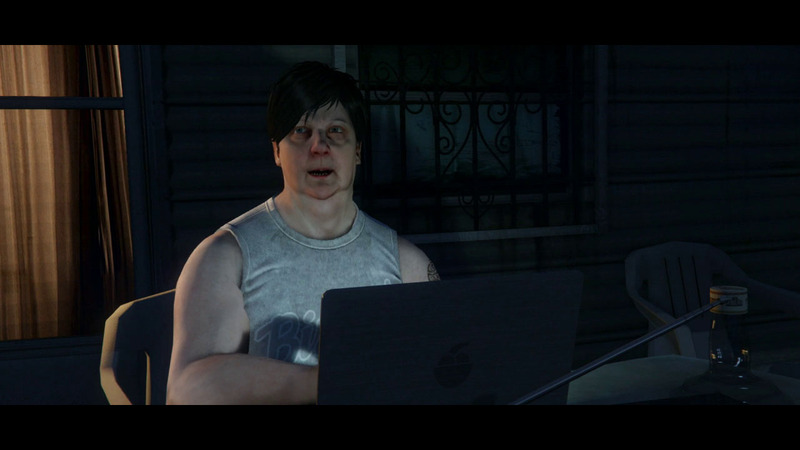 Heists!) - That's right! 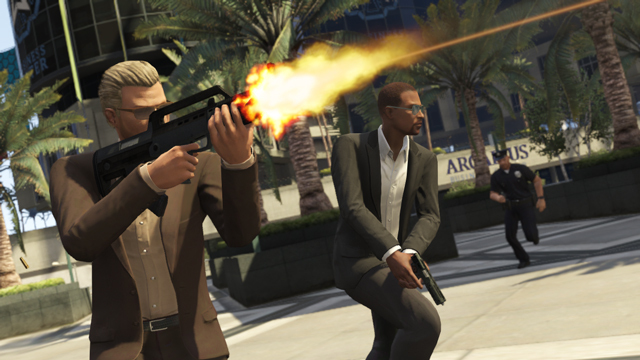 Heists will finally be coming this spring along with various other updates to GTA Online and GTA V.